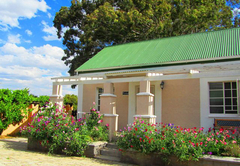 Kuilfontein Guest Farm is a highly recommended guest house with self catering option, providing accommodation in Springfontein for tourists visiting the Xhariep Region. 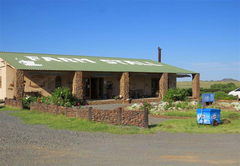 Kuilfontein Guest Farm is a sixth generation working sheep farm situated just 500 metres from the N1. 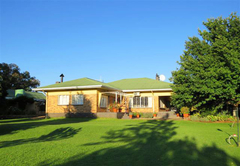 It is a convenient overnight stopover for those travelling between Bloemfontein and Colesberg. 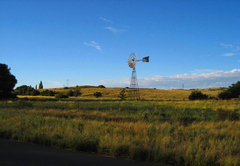 The town of Springfontein is situated 150km southwest of Bloemfontein and 80km north of Colesberg. 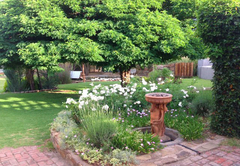 This beautiful farm is a small oasis in the Karoo and you will be welcomed by Martinette & Shelton, the owners. 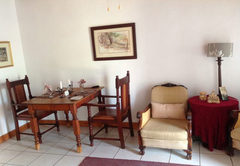 Kuilfontein Guest Farm consists of six tastefully decorated units, with kitchenettes and en-suite bathrooms. 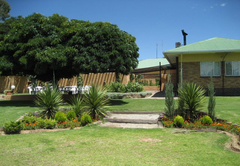 Self catering accommodation and family units are also available. 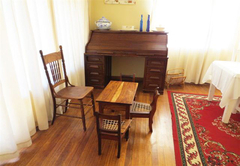 Rooms are equipped with heaters, fireplaces and electric blankets for Free State winter nights while summer temperatures are kept at bay with fans and air-conditioners in the rooms. 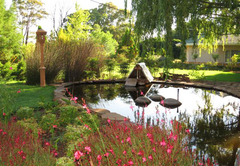 Relax in the sprawling garden or take a refreshing plunge in the sparkling pool. 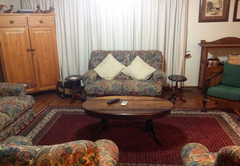 On chilly evenings feel free to enjoy a drink or a chat with other guests in front of the fireplace. 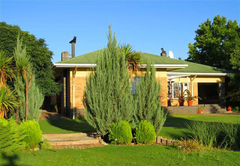 In true family tradition, a mouthwatering Karoo lamb dinner is served and a full English breakfast will top you up in the morning! 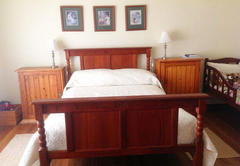 Enjoy a peaceful night’s sleep in this home away from home. 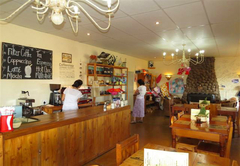 The Farmstall has become a well known and loved landmark on the N1, with many a traveler stopping off for a cappuccino and a delicious slice of cake. 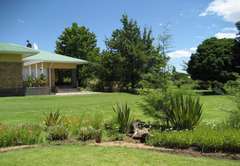 The Farmstall’s restaurant has many wonderful Karoo style dishes on the menu. 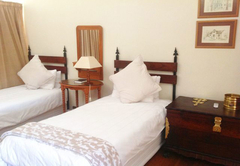 The rooms are spacious and well fitted out. The food for dinner and breakfast was very good. We enjoyed our stay and will return. 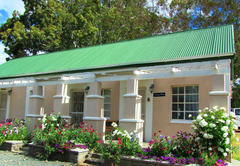 Wonderful place to stay. Comfortable and clean. 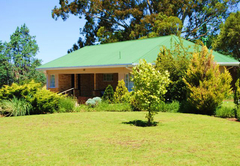 Good host and excellent food.